“House Party” is realtor.com’s official podcast about the overlapping worlds of real estate, design, and pop culture. Click the player above to hear our takes on this week’s hot topics. We also talk about Tuscan-style home decor—a trend that peaked in popularity during the late ’90s/early ’00s but feels rather stale today. In the spirit of freshening up your decor (and working with what you have), we offer some surefire design tips for bringing your dated home into this decade. And this wouldn’t be a podcast about real estate if we didn’t talk about some seriously sweet homes. 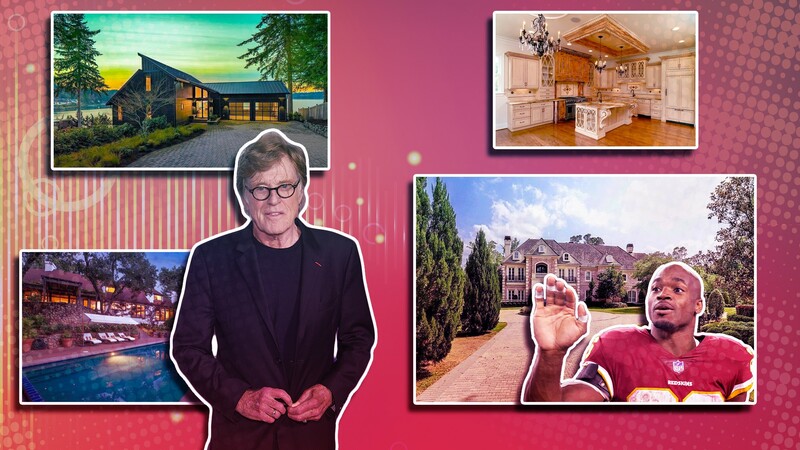 Specifically, we discuss the 2018 HGTV Dream Home (a beautiful modern manse overlooking the Puget Sound) that has found a buyer, a rustic “hobbit house” for sale in Wisconsin, and the multimillion-dollar pads of this week’s real estate winner and loser. You’ll have to listen to find out who they are! Subscribe on Apple Podcasts, Google Play Music, Spotify, or wherever you get your podcasts. And we’d be eternally grateful if you threw us a five-star rating on Apple Podcasts if you like what you hear. The more good ratings and reviews we have, the easier it’ll be for people to find us. Have a crazy home-related story you’re dying to share? Wish you could finally get your real estate questions answered? We’re all ears. Reach us at podcast@realtor.com, or tweet us @housepartypod on Twitter.